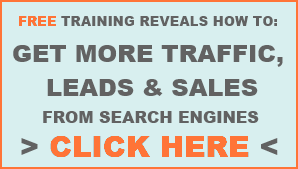 Google Analytics is the industry standard analytics package and its absolutely free! Determining the conversions that I consider as measurable steps towards achieving the objectives for the Superplay Cafe project. Many of these conversions can only be measured so far using electronic means so a system will have to be put in place in the cafe where the staff ask people how they heard about the cafe or parties in order to track the conversion. Lee Hopkins, an Adelaide based online communications specialist, has recently made a great post on his blog, Better Communication Results, with some Aussie Facebook stats. There are over 9 million Facebook users in Australia of which 54% are female and 46% are male. Adelaide has just over 600 000 Facebook users. Unsurprisingly, the 18-25 age range has the most users. Check out the post for more stats. I recently talked to Ben Teoh, Organiser and Social Media Master for the Adelaide Flash Mob and other projects, about social media marketing. (My questions are in italics). What projects are you currently using Social Media to promote? At the moment, my main long term projects are Adelaide Flashmob and Play Adelaide. Both are community groups which reside mainly on Facebook, but also have a presence on Twitter, and Adelaide Flashmob also has its own website. On more of a short term basis, I’ve been helping small businesses around Adelaide develop their Facebook presence with one-on-one training, and also developing custom tabs and landing pads for their Facebook pages. What are some of the strengths of social media for getting your message out? It’s where the people are. Everyday, people are using sites such as Twitter, Facebook and YouTube for their information and to keep track of what’s going on around them. Information is no longer broadcast, but shared – it’s like word-of-mouth on steroids. If you told me a couple of years ago that I’d be getting contacted by people in Scotland and California asking how to run a flashmob event that they’d seen on our website, I would have laughed. What do you think of the recent changes to Facebook's Pages and Groups functions? The updates Facebook brought to their Pages and, more recently, Groups means that it is a lot easier now to engage people directly. Pages offer a lot more flexibility in how to get your updates out by posting to people’s newsfeeds. The new Groups are great as they offer notifications to new posts – something which was lacking from the original groups. Is there any real difference between facebook and twitter? How do the cultures of the two communities differ? Do you use different strategies for each? Both are fairly different in how they’re used and how you interact with people. For me, in terms of information, Twitter seems a lot like a rapid burst of updates and retweets. It seems harder to engage in conversations, but it’s a great way to share quickly and broadly. It’s very much about who you follow, who follows you, tagging and the all important retweet. It's a great way to engage new people who may not of heard of you before. Learning how to use either platform effectively takes time. There are ways to have the two talking to each other, but to do that well without it look like you’re just dumping your tweets to facebook or the other way around, takes an understanding of both. You also use a blog for the Adelaide Flash Mob, how does that compare to your use of social media? Does it serve a different purpose or audience? Blogs allow you to splurge a little more in the word department. If you’d like to say something more than 140 characters (for example a report or review) or you’d like a way to add additional media (images and video) to what you want to say, then blogs are great. I’d still consider blogs in the realm of social media, because they still tend to be fairly personal. Sites such as Wordpress, Tumblr and Blogger bring even more of a social aspect to blogs as they provide ways people to follow, reblog and share your blog posts. They also act as a way to engage those people who aren’t on Facebook and Twitter. Do you have any tips for organisations/ businesses wanting to get started in social media? Take your time and plan it out. Social media’s fairly fresh, and needs to be approached strategically. Understand each of the platforms before launching into it. Also, learn how each of them interact with each other so you can work efficiently. Do you have any tips for creating an engaging Facebook profile image? I use Adobe Fireworks personally, but there are plenty of other free image editing programs out there. You basically want something that’s 200x600 pixels – and be creative with it. There’s a lot you can do with a good profile image. If you’ve got the time to learn and to design, then do it! Thanks to Ben for taking the time to share his thoughts and experiences on Social Media Marketing. Ben Teoh is the Chief Organiser and Social Media Master of the Adelaide Flash Mob. He also runs the Play Adelaide Facebook page and Twitter account @playadelaide and helps small businesses around Adelaide develop their Facebook presence with one-on-one training, and developing custom tabs and landing pads for their Facebook pages. You can find him on Linkedin and Twitter @HelloBenTeoh. An outline of the objectives, and strategies to achieve those objectives, for the Superplay Cafe project. The Superplay Cafe is an indoor play centre and cafe located at Mount Barker in the Adelaide Hills. The play cafe is open every day from 9:30am till 5:00pm. Children pay a fee upon entry and may stay as long as they like. Parents and caregivers enter for free. The cafe offers drinks, snacks and light meals, including a kids menu and healthy options are available. They also specialise in kids parties and the facilities can be hired out for private functions, fundraisers and community events. More details here. The basis for almost all online strategies is to increase traffic to the web property and then improve or increase the conversions of that traffic. The conversion path or funnel is the series of steps that a user takes to convert. You can track how many people convert and where in the funnel they leave using tools such as Google Analytics Goals. Over time you can tweak your products, marketing and conversion funnel to get the best conversion rates and therefore greater profits. Here is a great guide to improving your conversion rate. I recently interviewed Ann, organiser of the annual Adelaide Zombie Walk, about how she uses social media to promote events. (My questions are in italics). When did the Adelaide Zombie Walk start? The 14th April 2007 was the first Adelaide Zombie Walk which started via a Myspace profile. At first it was just a random act similar to a "flash mob". My husband and I took over the walk in 2008 in prep for the 2009 walk. We have since made it a charitable event, raising funds and goods for Foodbank SA. Although we still have a profile on Myspace I find Facebook and Twitter far better to promote our event. What are the strengths of social media for getting your message out? I find Facebook a great way to spread the word as photos are shared and status updates can be read by people not knowing about our event then becoming keen after seeing something in regards to it. It keeps our costs down as we don't need to post invites. We can also mass message people and create an event listing to get an idea of what kind of turn out we'd have. What do you think of Twitter and Myspace? Myspace doesn't get a lot of traffic and we hardly use it. Twitter I use but unless we're on the computer all day to keep updating it I find it time wasting... however it's great closer to the event to pump up the followers. How do you use the different tools within Facebook? We have a group page so I can send mass messages to all members and so members can share pics, thoughts and any other suggestions they have. I have the profile page so when I contact people or make comments i do so as AZW and not me personally. Tell me about the poster competition. How does it work and does it help you to get more exposure? The poster comp is open to all SA residents, it's free to enter and something we started to get more people involved. Once a winning poster is chosen we then have it professionally printed giving the person who designed it free exposure as well as promoting the walk. Posters are distributed throughout the city, universities and business such as theatre/costume stores and so on. Adelaide Zombie Walk 2011 will be held on October 8th, more details on the Facebook Event. Thanks to Ann for sharing her thoughts and experiences on using social media for promoting events. Ann is the event organiser and promoter of the Adelaide Zombie Walk. 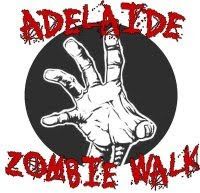 You can find out more about the AZW on their Facebook Group, Website and Twitter @adelaidezombie. Marketing by sending emails to customers or potential customers to drive conversions. It gives you a 2nd, 3rd, 4th etc chance to convert someone who didn't buy from you the first time. Survey statistics show that Email Marketing is consistently the best performing advertising channel for businesses, above Organic Search Marketing and well above Social Media Marketing. Chilli Chocolate Marketing (Adelaide firm specialising in Email Marketing) reports a return on investment of almost $50 for every $1 spent. Email addresses can be gathered in a number of different ways such as giving an offer such as a free report or ebook in exchange for a name and email address. You need to be very careful when collecting email addresses that you get significant permission to send them emails otherwise you could get into serious legal trouble for spamming (see below). There are many software packages that you can buy or subscribe to to facilitate your email marketing campaigns. These packages make whole process much easier carry out. We're all familiar with receiving spam and everyone knows how annoying and unwanted it is. If you are going to start an email marketing campaign you need to know the Spam laws in place in the country where your recipients reside. Information for sending commercial emails in Australia can be found at the ACMA Website. I've been struggling to come up with a strategy for the Internet Marketing Adelaide Facebook Page that will help achieve my objectives. I wanted to make it a place where people would come and ask questions and others would answer them to create a centre of knowledge and information. I have just decided that this exactly what I will do but I will create another page specially for it. 'Experts Panel' page/tab featuring Adelaide internet marketing and website experts who are regular contributors. The page will include of photo of each expert along with a short bio and link to their website. Weekly/monthly feature called 'Top Contributors,' with several categories such as 'Best Question,' 'Best Link,' 'Best Advice' etc. The top contributors will be promoted through photos, notes, updates and tagging. I've used social media to promote various events and products. Over the last six months I have coordinated various bike and community based events. I also use it to publicise things I find on the net - I love using Twitter to spread news & info, broadcasting it to a wide audience quickly. Also, I've just started a blog - testing the waters - it's a great way to have a voice on the net. What aspects of social media make it good for marketing? How can social media increase a business's bottom line? Social Media is about driving your brand's PR & awareness in the market place and getting it known by your target market. Do you have any tips for businesses that want to get started in social media marketing? Don't just jump in - make sure you have a social media strategy that is well thought out - be proactive, not reactive. Be efficient with your messages and don't be too sales-pitchy - be fun, different and exciting! Ensure you have the resources to follow up & keep the activity at a continual, steady pace. How do you know if your social media strategy is working? It's always a hard one - but running market research is always good - traditional surveys, website hits, 'likers', followers on Twitter, increase in sales, etc. Thanks very much to Julia for sharing her advice about Social Media Marketing. Link building is the process of requesting, creating and encouraging links, from various sources, to your website. Links help with search engine optimisation and driving traffic. Link building is the key form of 'Off Site SEO,' that is Search Engine Optimisation done off your website to increase your rankings in the search engines. In the world wed web, search engines consider links to a website as 'votes' for that website by the one linking to them. There is a consensus that these link votes are one of the most important factors for ranking well in search engines. Aside from SEO, more links means there are more ways for people to get to your website so it should result in more traffic. Editorial Accumulation- acquiring links naturally by another webmaster simply deciding to link to you. Self Created, Non-editorial- links that you create yourself, not on your own site. This includes blog comments, links posted in forums and guestbook signing. Web Site Advantage has some great tips and info about link building. A case study covering all aspects of the development of Superplay.com.au, a Play Cafe in the Adelaide Hills. Or you can click on a category below to see posts relating to that specific part of the internet marketing plan. (conversions are numbered, sub-conversions are bulleted). Mobile Marketing is marketing via mobile devices such as mobile phones, PDAs, ipads and ipod touches. Marketing methods can include SMS, applications, games and websites. According to Nielson's 2010 statistics (via heidiallen.id.au) 43% of Online Australians now own a Smartphone. A Digital Tip article says an amazing 93% of mobile devices in Australia and NZ are iphones and ipod touches. Much of the rise in usage is accredited to the rise in popularity of Social Media. The statistics in the US, an indication of what the future holds for us, are pretty compelling evidence that the mobile web is here. Mobile marketing is most appropriate for businesses that people would likely be looking for while they are out and about such as restaurants, shops and entertainment venues. However, as the popularity of mobile devices and mobile browsing increases, mobile marketing becomes increasingly relevant to all businesses. One of the most basic mobile marketing methods is to have your website optimised for viewing on a mobile device. Most normal websites can be viewed on a mobile device but, as A7 Designs put it, 'Using a regular website on a PDA, Smartphone or mobile phone is like trying to fit a Ferrari into a matchbox.' Your website needs to be specially designed and optimised so that its easy to use on a mobile device. Other effective mobile marketing methods include SMS marketing and marketing via interactive applications. A collection of free internet marketing tools, programs, scripts and software categorised by the steps in the internet marketing plan. Products/ Services: Search Engine Optimisation (SEO) package designed to help small businesses improve their presence on the internet, AdWords account management, advice on SEO and marketing in relation to website development and promotion work. Tony is also an active participant in many of the major forums and websites related to website development and marketing (as Tiggerito). He is a “Sage” on Experts Exchange and has recently been awarded Mentor status on The V7 Network. A case study covering all aspects of the development and success of my internet marketing Adelaide blog project. The process of determining the keywords being used by your target market that will will give you the best return on investment. Keyword research is the foundation of almost all your business's activity on the internet from Search Engine Optimisation to Pay Per Click advertising to increasing conversions. I'm now about a month into the Internet Marketing Adelaide project and I thought it was time I redefined my objectives, as I think they have changed a bit, updated the mission statement and developed a strategy and internet marketing plan for moving forward.